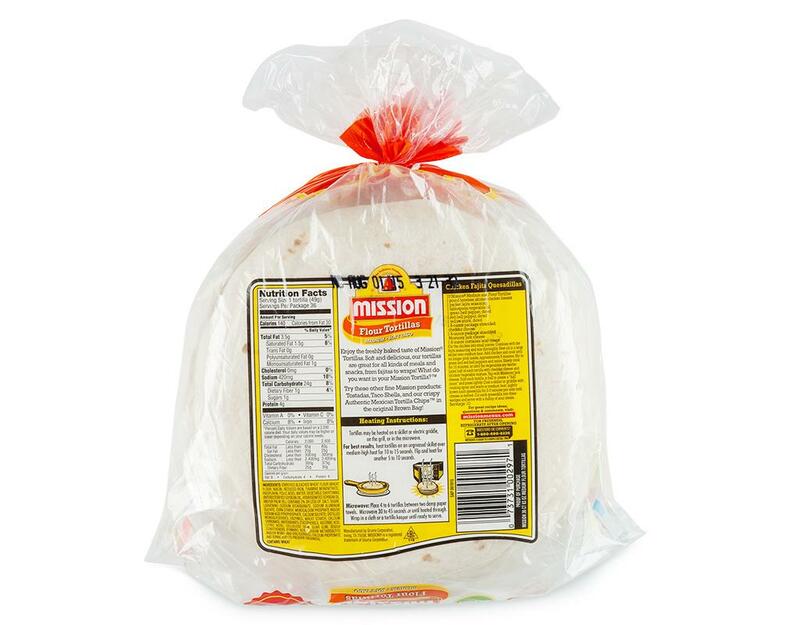 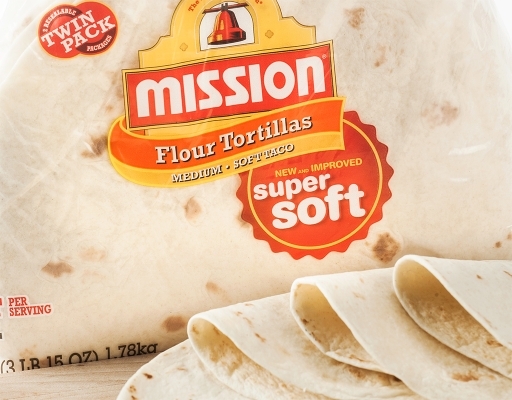 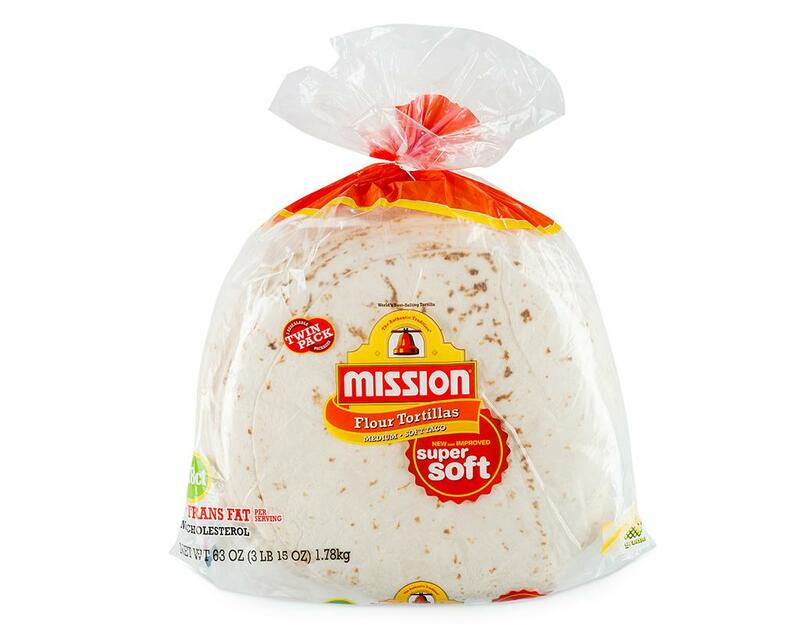 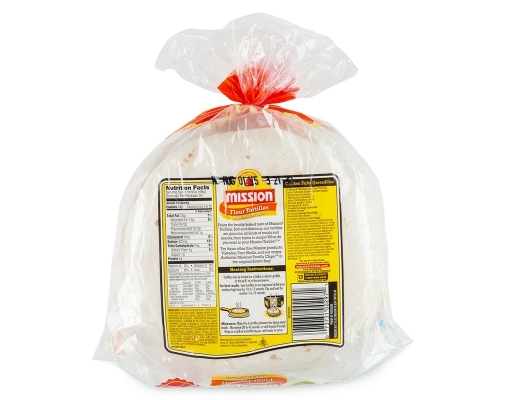 These tortillas are ideal for rolling and folding without cracking. 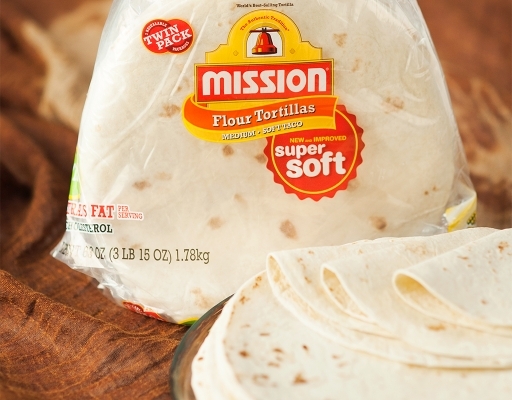 It's the perfect foundation for world flavors; use for fajitas, burritos, tacos and quesadillas. 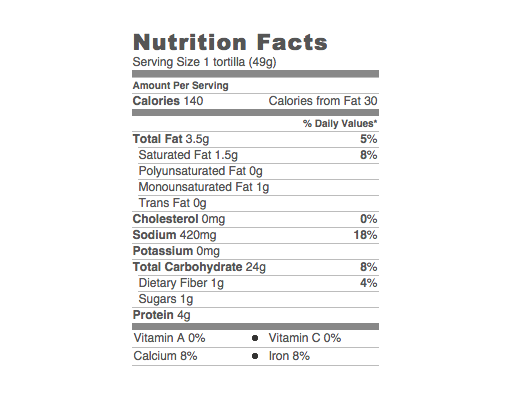 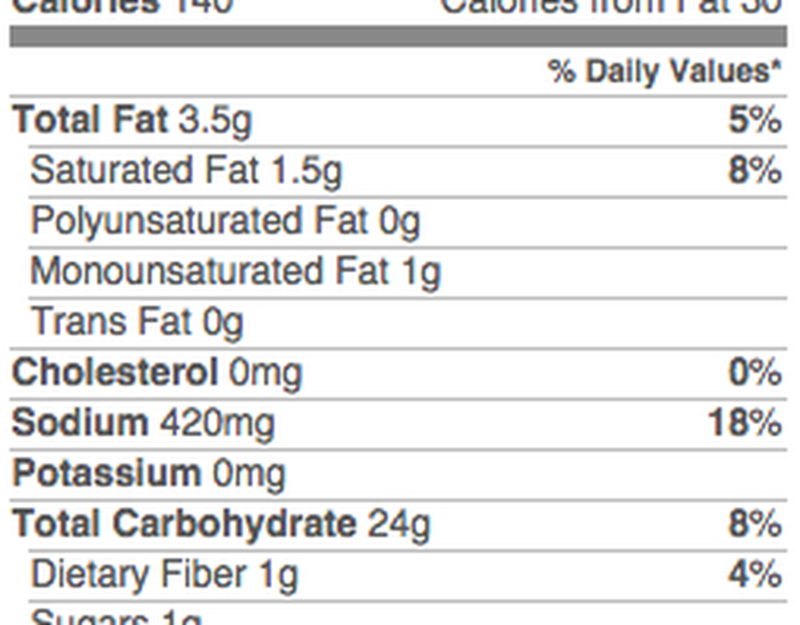 Whole Wheat Flour, Water, Vegetable Shortening (Interesterified Soybean Oil, Hydrogenated Soybean Oil and/or Palm Oil), contains 2% or less of: Sugar, Salt, Leavening (Sodium Bicarbonate, Sodium Acid Pyrophosphate), Distilled Monoglycerides, Enzymes, Calcium Carbonate, Antioxidants (Tocopherols, Ascorbic Acid, Citric Acid), Cellulose Gum, Calcium Propionate and Sorbic Acid (to preserve freshness), Dough Conditioners (Fumaric Acid, Sodium Metabisulfite and/or Mono- and Diglycerides).